I am honored to introduce my next “Passioneer’ at World Wise Beauty. Meet Dr. Wallace “J.” Nichols who is a scientist, wild water advocate, movement-maker, and New York Times bestselling author of ‘Blue Mind’. 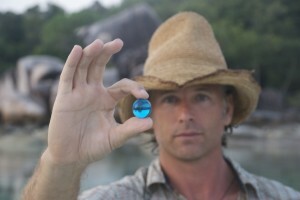 His research and expeditions have taken him to coasts and waterways across North, Central and South America, to Asia, Africa, Australia, and Europe where he continually finds that the emotional connection to waters of all kinds–rather than force of financial gain–is what keeps his colleagues and collaborators working hard to understand and restore our blue planet. J. is a Research Associate at California Academy of Sciences and co-founder of OceanRevolution.org, an international network of young ocean advocates, SEEtheWILD.org, a conservation travel network, GrupoTortuguero.org, an international sea turtle conservation network, and LiVBLUE.org, a global campaign to reconnect us to our water planet. Nichols earned his Bachelor’s degree in Biology and Spanish from DePauw University, an Master’s of Environmental Management in Environmental Policy and Economics from Duke University’s Nicholas School of the Environment, and his PhD in Wildlife Ecology from the University of Arizona’s School of Renewable Natural Resources where he received both a Marshall Fellowship and a Fulbright Fellowship. In 2010 he delivered the commencement address at DePauw University where he also received an honorary doctorate in science. In May 2014 he will receive the University of Arizona’s Global Achievement Award. Lauroly Welcome: Welcome ‘J’ to World Wise Beauty. 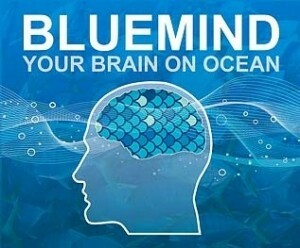 I am so excited about sharing your work and your book ‘Blue Mind’ with everyone. I love how you have brilliantly synthesized all the research on water’s healing benefits, and share real life stories that validate ‘the data’. Let’s face it, we can all feel passion, but it’s what we do with our passion that counts. You have immersed yourself not only in water around the world, but also in educating the young and spearheading humanitarian projects. I am honored to feature you. First let me say, I am one of those people who acutely feels the ocean’s magical healing powers. For me, any body of water is a calming elixir and tension reliever, but especially the ocean. I literally feel joy! Don’t know if this ‘joy’ is just the absence of stress cortisol running through my veins but it feels wonderful. 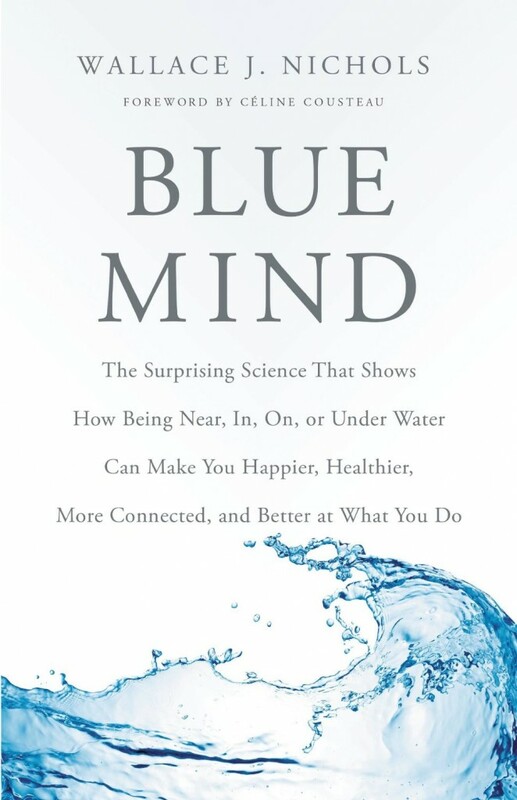 Lauroly Q- What do you mean by a ‘Blue Mind’, and what are neuroscientist discovering about water in relation to our brains? Dr. Wallace J. Nichols: I define Blue Mind as “a mildly meditative state characterized by calm, peacefulness, unity, and a sense of general happiness and satisfaction with life in the moment that’s triggered when we’re in or near water.” But the best way to understand it is to consider Red Mind, the always on, hyper-connected, information-rich existence that increasingly defines modern life. I know you know what I’m talking about. It’s the lifestyle that considers a casual dinner at TGIF with 15 different screens, 100 background conversations, an eager waiter and 90’s pop music playing on top of it all to be “relaxing”. When we step outside, step away, shut down the screens (all of them), quiet our mouths and head to the edge of the water we move into our Blue Mind. Visual and auditory things become more simple. If we can submerge in the water we also get a break from gravity. Our brains get to work on other things like insight, self-reflection, innovation or simply mind-wandering rather than processing information. That’s always been important, but never more important than right now. Lauroly Q- Well I’m with you J, because I was never a fan of that kind of ‘ TGIF relaxing’. I always felt it was kind of an assault on my senses. I think Chapter 4 is the most important chapter in the book, because it reminds us that being human is not just processing data in our brains, but experiencing and perceiving. You share important stories that explain how our ‘senses’ help our brains create ‘perceptual maps’. Our senses are what make us ‘complex’ and they literally shape our perceptions. With all the comparisons people make today about computers and our brains, chapter 4 pretty much ‘knocks the comparison out of the water’. No pun intended! 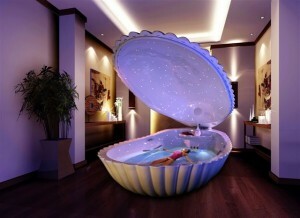 I wasn’t surprised to learn that flotation therapy is being used to treat ADHD, autism, PTSD, and depression. Makes total sense. Let’s remember that ancient cultures have been using water as a curative for all kinds of conditions for thousands of years. I have written several pieces on ‘medicinal spa therapies’ which are practiced around the world, and many of them involve water. Tell us about the powerful sensory effects water has on us. Why should we go deeper into the ‘BIG BLUE’? Dr. Wallance J. Nichols: You’re absolutely right, this Blue Mind stuff is by no means a new set of ideas. Water as medicine is a concept that dates back thousands of years. Even terrestrial animals seem to immerse themselves in water therapeutically. But much of this has been forgotten or ignored in favor of more expensive and complex approaches to health. When all of our senses are engaged with water, under safe conditions, we can achieve a sense of calm. If we remember this throughout our lives, our lives are enhanced, our relationships are deepened and our creativity is boosted. It’s not a silver bullet or magic solution to problems, but it sure can help a lot. On some days my daughters will be riding of the back seat of the car arguing (they are 10 and 13 years old). If I pull over and we hit the beach and head to the water, by the time we reach the water’ s edge they are transformed and holding hands. I wish I could offer that beach to every parent. It’s no surprise we head back to the water’s edge time and again in our lives to make important proposals, celebrate lives, grieve loss, fall in love. Again, this is nothing new. But we all need reminders. And a scientific explanation helps nudge some people. Lauroly Q- I agree and often think that offices need ‘recess hours’ like we had in elementary school. I suppose some of the forward thinking tech companies have figured this out, but maybe they should install a flotation tank and olympic size pool! Dr. Wallace J. Nichols:A few years ago I found myself embedded in a wave of very bad news about the ocean. One research paper after another proclaimed the end of the ocean as we once knew it. It’s true, we have a crisis, but I also found the relentless bad news, data, guilt and fear wasn’t just getting me down…it was bumming out a lot of people. The message of gloom and doom wasn’t motivating me or the people I spoke to. So, I decided to bring in more gratitude. The blue marble represents our small water planet and is shared as a simple gesture of appreciation. When someone gets a blue marble they are expected to pass it along to someone they want to thank. I refer to blue marbles as “sociophysical media” meaning they have to be passed personally, not virtually. This is a disruptive idea in our age of apps and digital social networks. There are well over a million blue marbles in play, moving from person to person. They’ve “gone viral”. 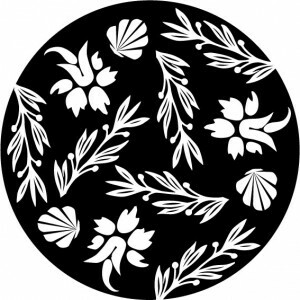 Lauroly Closing: Thanks so much for taking the time to chat with us J! You are a real ‘Passioneer’ and truly inspiring. How could we not care for our oceans after reading your book? Because you have so persuasively convinced us that by caring for our oceans and waterways, we are caring for ourselves. You have indeed touched our hearts.